The Free State of Saxony, the most easterly of Germany's federal states, is diverse in both its culture and scenery from the highest point in the land, Fichtelberg, in the Erzgebirge to the jagged precipices of the Elbsandsteingebirge, from the Saxon Wine Route hugging the gentle contours of the River Elbe to the romantic valleys of the Mulde and Zschopau. The entire region has profited from its rich natural resources, with the metal deposits in the Erzgebirge funding Saxony"s glorious development of the arts. 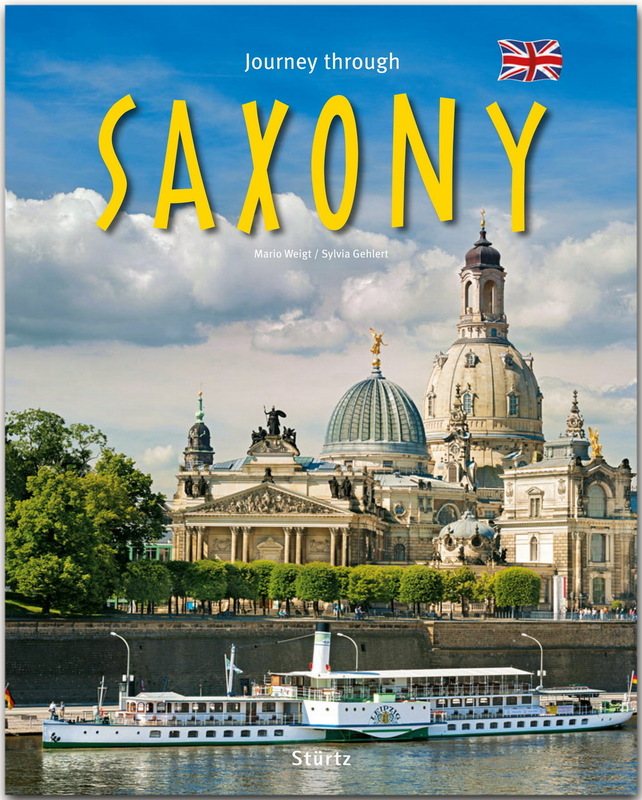 Many of the most important buildings in Saxony and particularly Dresden date back to the rule of Augustus the Strong under whose auspicious patronage Matthäus Daniel Pöppelmann made architectural dreams come true. 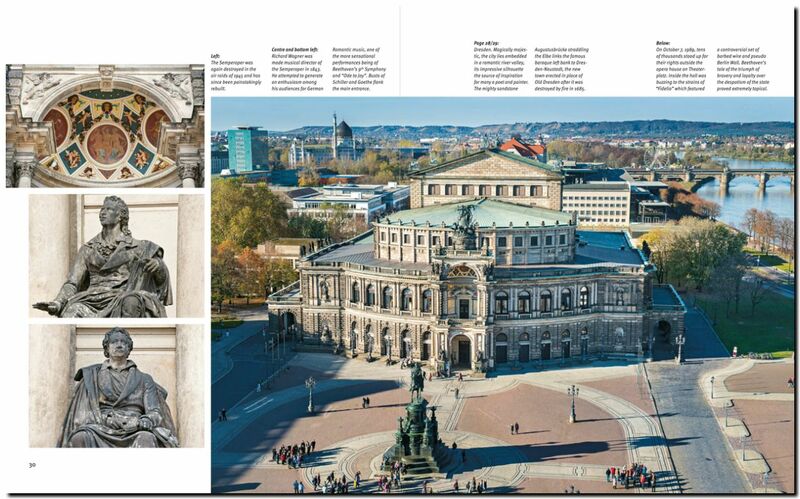 What the Zwinger, Schloss, Hofkirche and Semper Opera House are to Dresden, the historic trade centres and merchant stores are to Leipzig, its most famous being the Mädlerpassage with Auerbachs Keller and Goethe"s "Faust". Chemnitz is a city of secular cathedrals, of imposing monuments to industrial architecture from the "Gründerzeit" of the late 19th century. 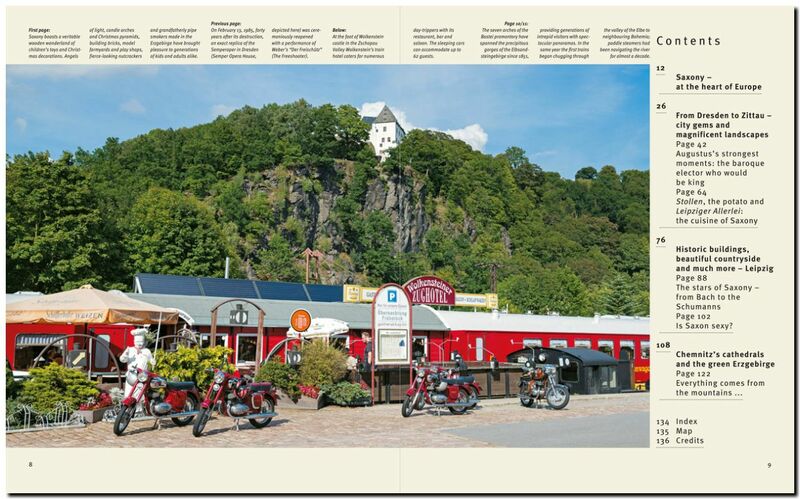 From the Muskauer Heide to the Vogtland, from the Leipziger Tieflandbucht to the Elbsandsteingebirge Saxony is portrayed here in over 200 colour photos.